Who doesn’t love dairy products? Milk, Cheese, Yogurt and Ice Cream are staples in the American diet. For some, they can tolerate dairy with minimal or no issues. For others, too much dairy can lead to digestive issues, skin conditions like eczema and respiratory issues caused by a large buildup of mucus. In our family, we have a little of both. 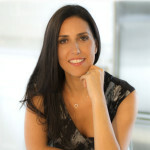 As a result, we try to minimize our dairy intake to a 2-3 times per week. This was a tough transition especially with our breakfast routine since my kid’s top breakfast choices are smoothies and cereal. I started buying Almond Milk which my kids can tolerate in cereal but don’t love as much in smoothies. To add a little bit of variety to the nut milk rotation, I started making my kids BANANA MILK, yes you heard that right, Banana Milk, to switch things up. They loved it so much that they actually prefer it to the other non-dairy milk options. It is super easy to make, contains only two ingredients and a great way to get your kids to eat more fruits. Banana Milk has the frothy, creamy consistency of milk and can be used in cereal, oatmeal, smoothies or even drink it on its own with a sprinkle of cinnamon. 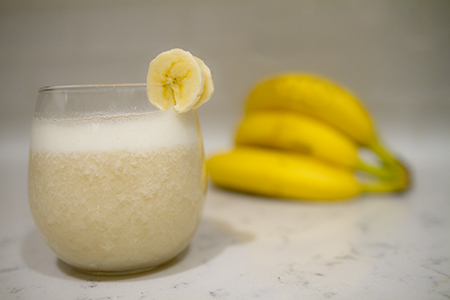 For a thicker more milkshake like consistency, use a frozen banana. Yield: 12-16 oz Banana Milk, depending on weight of the banana. Combine banana and water in blender and blend for 20-30 seconds. 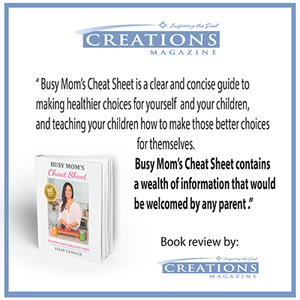 More tips, and recipes like these as well as 45 healthy, quick and delicious recipes can be found in my book, “Busy Mom’s Cheat Sheet” available on Amazon today!